An unforgettable meditation on love and grief, director David Lowery (Ain’t Them Bodies Saints) returns with an exploration of legacy, loss, and the human longing for connection. 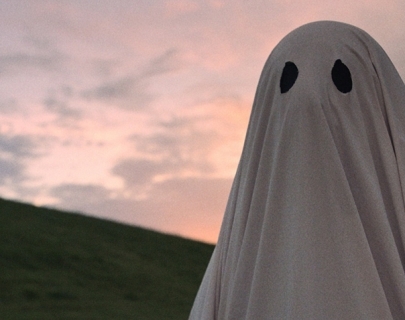 Recently deceased, a white-sheeted ghost (Affleck) returns home to console his bereft wife (Mara), only to find that he has become unstuck in time, forced to watch passively as the life he knew and the woman he loves slowly slip away. Increasingly unmoored, he embarks on a cosmic journey through memory and history, confronting life’s ineffable questions and the enormity of existence.